Greek salad is one of those delicious food I never make at home, partially because my local grocery doesn't sell lamb. Tonight I wanted a little taste of Greek food so with a quick trip to the grocery store I was able to make my own, highly Americanized version. This recipe isn't going to make you forgo your local Greek restaurant, but it will be light, refreshing, and healthy. To start, gather up your ingredients. You will need: 1 red bell pepper, 1 to 1.5 tablespoons minced garlic (mine was pre-minced from the store), 2 small tomatoes or 1 large tomato, a handful of feta cheese, spring mix leaves, 1 medium red onion, 1 (store bought) roasted chicken. The real time saver in this recipe is buying a pre-roasted chicken from the store. Then take the already cooked and flavored chicken and shred it with your hands. Chop up your bell pepper, tomato, and onion. Toss all your ingredients into a large bowl and mix well. Set aside. Now we are going to make a sauce that is vaguely reminiscent of tzatziki sauce. You will need plain Greek yoghurt and dill weed. Use as much or as little as you want of each. I just bought a single portion of Greek yoghurt and mixed in dill weed until the yoghurt looked fairly peppered with green. Lastly, prepare your sides. I had pita bread and strawberries with my salad. Add a glass of wine and you're good to go! For final presentation I placed the bowl of fake tzatziki sauce in the middle of the table. I spread it over my pita bread slices and then piled it high with salad, eating it like an open face sandwich. 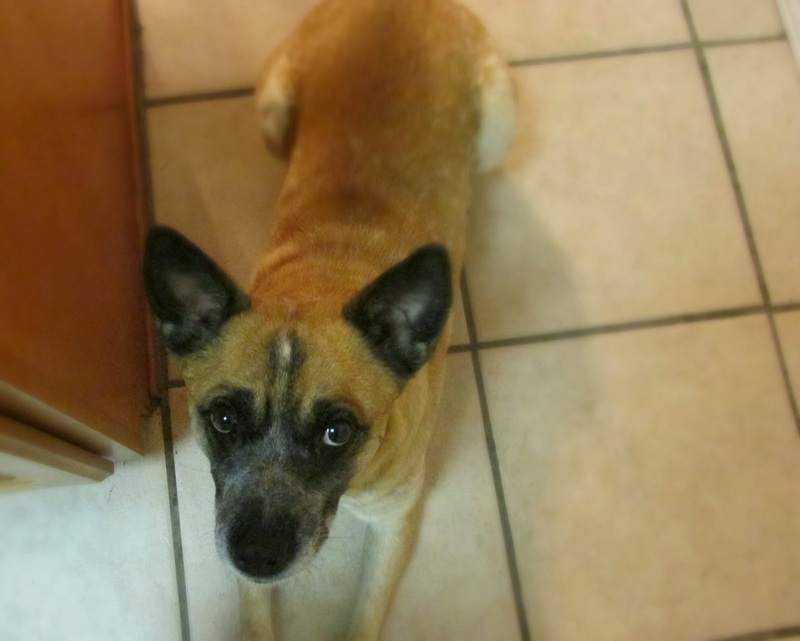 Even my dog thought it smelled great and sat around begging until I gave him some chicken. This takes about 20 to 30 minutes to prepare (depending on your chopping speed) so you can easily put this all together after work. Bon appétit! Seriously buying a rotisserie chicken and then shredding it is maybe the most genius idea I have ever heard! Why have I never thought of that before!? I know, it's not my idea so I can't take credit for it, but it is a life savior! you are great in the kitchen! Yumminess, i will definitely be making the vegan version of this salad, looks great! goodnesstobethislooksahhhmayzing! that shredded chicken looks delicious. i'm coming to dinner. It so easy to do, too, since you don't have to cook the whole chicken yourself! I picked mine up from Whole Foods, but you can find them almost anywhere. Looks good, colourful and yummy. Thanks for sharing Lauren. Have a blissful day/night!! The salad looks so good! And it seems easy to make too. PS Your dog is so cute! Exactly, those are the only kind of meals I cook! I hope you enjoy it! 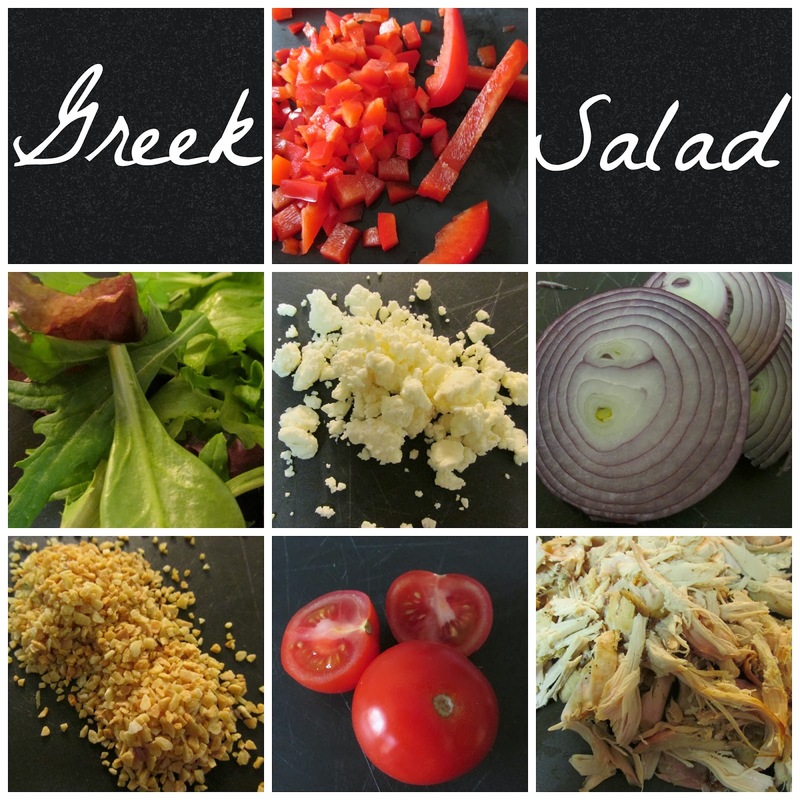 Greek salads are so tasty! Very hearty too! Going out and getting a rotisserie chicken. Awesome idea! Yum! and it looks so easy to. You make this look so good, I will have to try this! I hope you do! It's so easy to make. It looks delicious great post. Delicious and healthy are always the best combinations. :) Thanks for visiting! Me too! I've also been craving gyros. Mmmm.....! Happy Friday! So glad you stopped by!